Fishing and hunting are two of the most common and widespread occupations of indigenous peoples throughout the world since at least the Neolithic (starting about 12,000 years ago). All the world’s peoples have at some stage fished with spears, poisons, hooks, nets and traps. Australian Aborigines living along the coast, for example, have caught and eaten aquatic animals for many thousands of years. People living in inland Australia have also exploited aquatic animals, probably for as long, but this has received much less attention. Aboriginal people have fished, hunted and collected food along rivers and in lakes for at least 30,000 years. 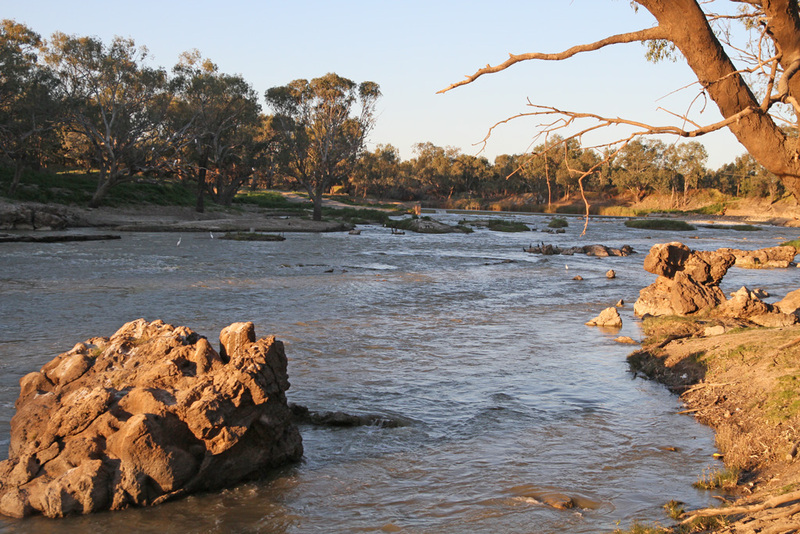 The best known and oldest of these sites is Lake Mungo, where we know that people fished for Murray cod (Maccullochella peelii) and golden perch (Macquaria ambigua) amongst others (Bowler et.al 2003). There is also ample evidence to show that fishing has been an important and ongoing activity in the Murray-Darling Basin for a similar period of time (Balme and Hope 1990). Not only fish, but also mussels, crustaceans, mammals, birds and aquatic plants were used as food (Humphries 2007). The types of methods used in fishing by indigenous Australians range from the use of spears, poisoning the water, nets and lines of people in the water to drive fish towards others waiting with nets, and spears and fishing lines with hooks (Gerritson 2001). 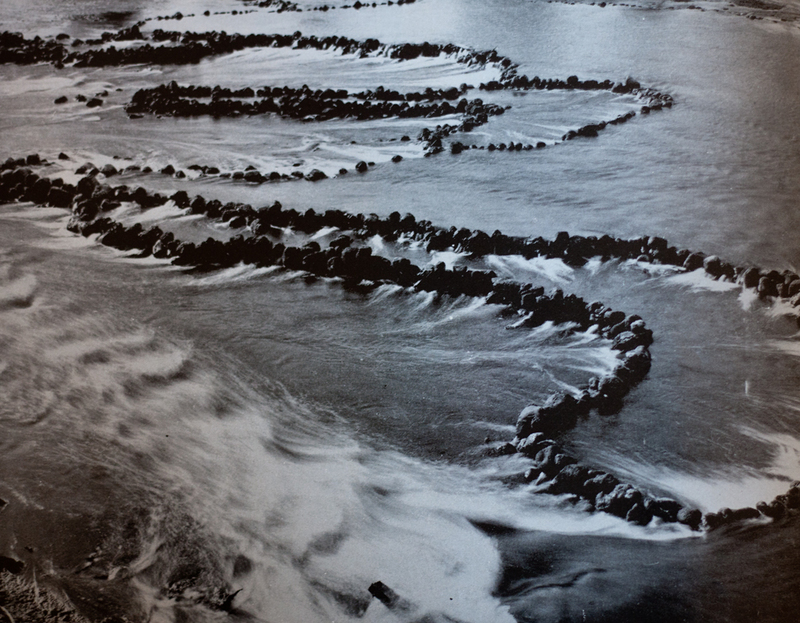 But one of the most widely used techniques was that of fish traps (Gilmore 1933). These come in all shapes and sizes, but usually target fish species that have behaviours that make them trappable. 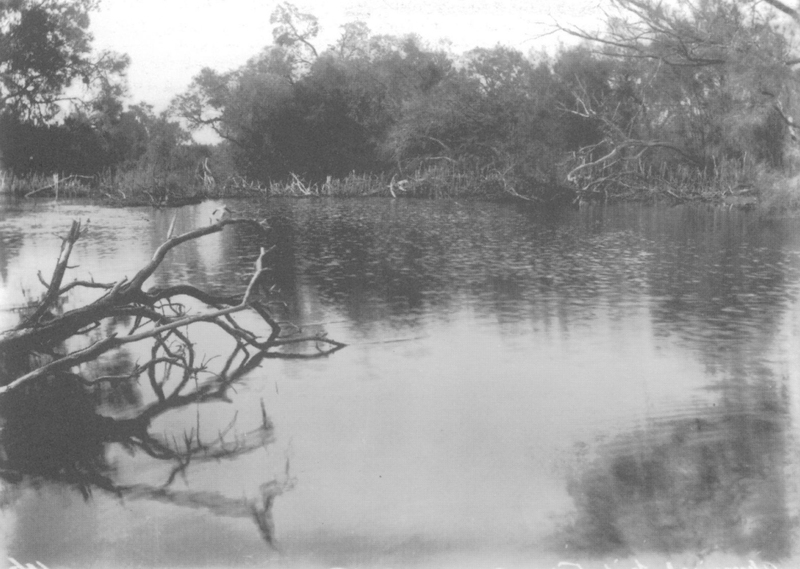 Iconic sites such as Brewarrina in northern New South Wales are frequently cited as representative of fish traps (Dargin 1976). However, the reality is that the technology of fishing varied widely among rivers (Ross 2009). The ephemeral nature of many fish traps requires the use of indirect evidence, i.e. inferring the existence of such fishing technologies from a variety of data gleaned from archaeology, ecology and historical and ethnographical sources. A possible correlation of traps with midden sites (Gribble 2005), as well as gathering places, needs to be evaluated, because fish traps can provide adequate food for large gatherings of people for various ceremonies, including those at Bora grounds. Based on the data collected about known traps, it may also be possible to predict additional locations where traps may have existed in the past. Most research so far has been largely descriptive, focussing on where traps have been found and how they were constructed (Welz 2002). To date, little research has been done to link fish traps to river ecology. Many important questions remain to be answered, such as which fish species were trapped, at what time of the year and during what types of flow were the traps effective, and how long were fish trap technologies used? My project aims to investigate the archaeological and ecological significance of the location, structure, contents and context of Aboriginal fish traps of the Murray-Darling Basin. It will: describe the distribution of fish traps in the Murray-Darling Basin, along with riverscape features associated with them, and technologies used in their construction; attempt to work out which species of fish were trapped, precisely how they were caught and at what time of the year or under which river conditions fish were most likely trapped; see if there are links between the locations of fish traps and gathering places, such as Bora or Corroboree grounds; and explore whether it is possible to predict the location of other fish trap sites from the analysis of known trap features. References: Balme, J. and J.H. & Hope, J., 1990. Radiocarbon dates from midden sites in the lower New South Wales Darling River area of western. Archaeology in Oceania, 25(3), pp.85-101. Bowler, J. M., Johnston, H., Olley, J. M., Prescott, J. R., Roberts, R. G., Shawcross, W., & Spooner, N. A. (2003). New ages for human occupation and climatic change at Lake Mungo, australia. Nature, 421(6925), 837-837. Bowler, J. & Jones, R., 1970. Pleistocene human remains from Australia: a living site and human cremation from Lake Mungo , western New South Wales. World Archaeology, 2(1), pp.39–60. Dortch, C.E., 2012. New perceptions of the chronology of Aboriginal development in south-western Australia. Archaeology, 29(1), pp.15-35. Gerritsen, R., 2001. Aboriginal fish hooks in southern Australia: Evidence, arguments and implications. Australian Archaeology, 52(52), pp.18–28. Gilmore, M., 1933. Old Days: Old Ways, Sydney: Angus and Robertson. Gribble, J., 2005. The Ocean Baskets: Pre-colonial fish traps on the Cape south coast. Digging Stick, 22(1), pp.1–16. Humphries, P., 2007. Historical Indigenous use of aquatic resources in Australia’s Murray-Darling Basin, and its implications for river management. Ecological Management & Restoration, 8(2), pp.106–113. McNiven, I.J. et al., 2012. Dating Aboriginal stone-walled fishtraps at Lake Condah, southeast Australia. Journal of Archaeological Science, 39(2), pp.268-286. Ulm, S., 2002. The Seven Mile Creek Mound: new evidence for mid-Holocene Aboriginal marine resource exploitation in central Queensland. Proceedings of the Royal Society of Queensland, The, 110, pp.121-126. Walters, I., 1985. The Toorbul Point Aboriginal fish trap. Queensland Archaeological Research, 2, pp.38–49. Welz, A.I., 2002. Fish Trap Placement: The Environmental and Cultural Influences in Fish Trap Placement Along the Australian Coastline. Flinders University of South Australia, Dept. of Archaeology. This entry was posted in Aboriginal fishing, Freshwater fish, River research and tagged Aboriginal fishing, Archaeology, Fish, Fish traps, Freshwater fish ecology, Murray-Darling Basin, Postgraduate research in river ecology, River research, Riverscapes. Bookmark the permalink.